Twitter officially introduced a feature that had been spotted in the wild earlier this month: Users can receive notifications when accounts they follow share Periscope live videos. Alex Kantrowitz of BuzzFeed News reported on the feature’s existence Sept. 7, but he followed that up the next day with a report that the notifications button had disappeared. 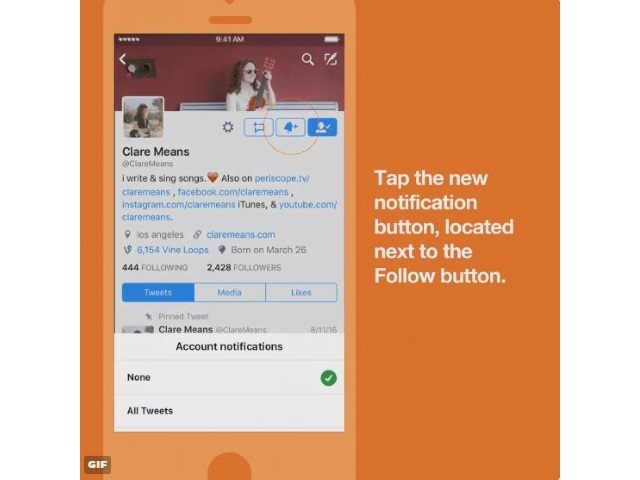 Users who opt to receive notifications when accounts are broadcasting live will receive alerts in the flagship Twitter app if it is open, or push notifications that will bring them directly to the tweet and live Periscope video. Facebook introduced notifications for Facebook Live videos earlier this year. Readers: What are your thoughts on this new Twitter feature?